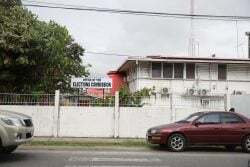 PORT OF SPAIN, Trinidad, CMC – Rain robbed Windward Islands Volcanoes of valuable points as their Group B match against Windies B finished in a disappointing no-result at Queen’s Park Oval here Tuesday night. Chasing a modest 221, Volcanoes had raced to 49 without loss after just seven overs when the adverse weather arrived to end the contest prematurely. 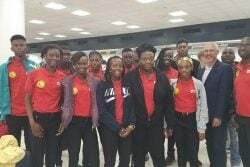 Each team gained a point, leaving the defending champions still in third spot in the group on seven points, three adrift of Guyana Jaguars who also won on the night. Favourites Trinidad and Tobago Red Force, unbeaten in three matches, lead the group with 13 points. Opting for first knock, Windies B got 57 from opener Keagan Simmons as they were dismissed for 220 in the 49th over. 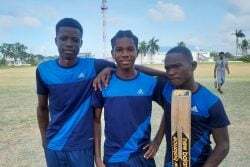 Wicketkeeper Tevin Imlach struck 43, opener Kimani Melius chipped in with 33, while Kirstan Kallicharan stroked 29 and captain Marlon Samuels, 24. Windies B started well and were cruising on 142 for two in the 19th over at one point before declining at the back end of the innings. 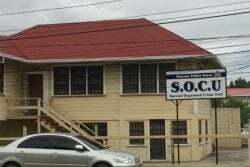 Simmons faced 83 balls and struck five fours as they posted a run-a-ball 42 for the first wicket with Melius who slammed two fours and three sixes in a 22-ball cameo. When Melius perished in the seventh over, bowled by left-arm seamer Delorn Johnson, Simmons anchored two key stands to keep Windies B ticking along. 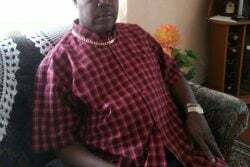 He first put on 66 with Kallicharan whose run-a-ball knock included four fours, before adding a further 34 with Samuels for the third wicket. 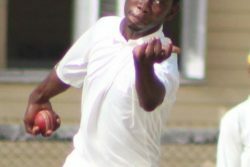 However, once the left-handed Simmons was bowled by off-spinner Alick Athanaze (3-49) in the 28th over, the innings collapsed suddenly with eight wickets tumbling for 78 runs. In reply, Devon Smith was looking ominous, smashing three fours and a six in a 23-ball unbeaten 27, as Volcanoes attacked from the outset. 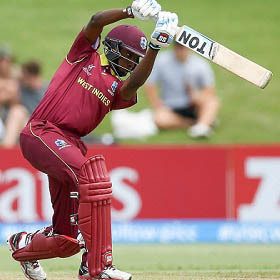 His opening partner Tyrone Theophile was forced to retire hurt in the fourth over on nine with the score on 35 but Kirk Edwards arrived to lash two fours in nine off 13 balls, to sustain the tempo. However, the heavens opened leaving the venue unfit for a re-start.